Here’s another one for the structural geology fans out there. 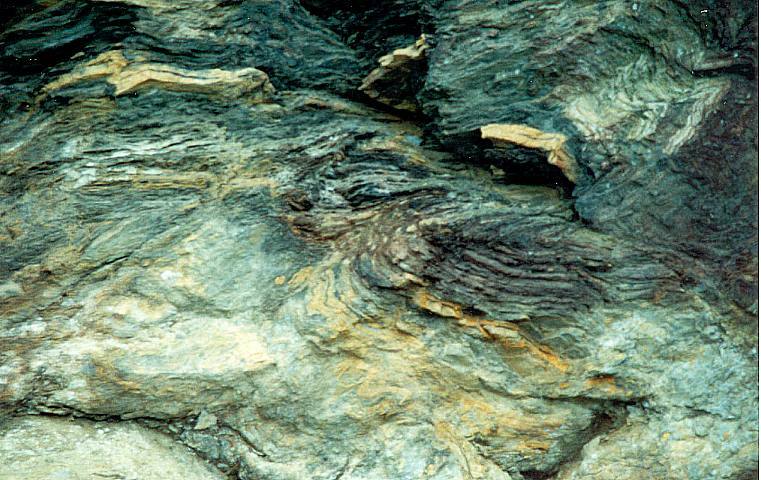 This is a photo of a cute little ‘Z’ fold in some Cretaceous strata in Patagonia (from this place). Sedimentologists and stratigraphers will typically try and find outcrops that lack structural deformation. This is because one of our goals is to precisely reconstruct the distribution and layering of sedimentary rocks. If the rocks are all faulted, folded, fractured, or otherwise FUBARed this becomes very challenging. But it’s important to point out that, the whole reason the outcrops are there in the first place is because of structural deformation. 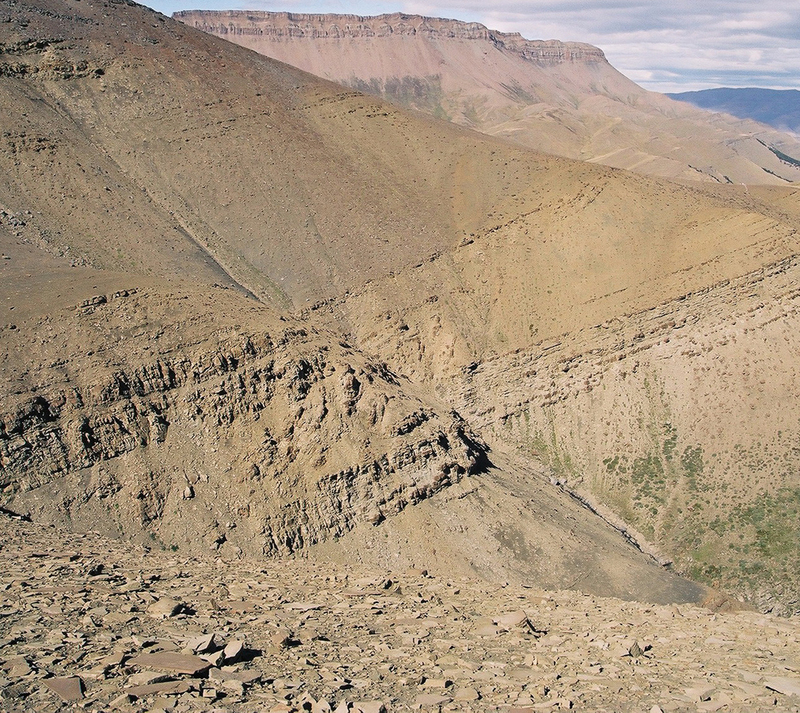 In the case above, a series of mountainside exposures are uplifted and dipping to the east (in photo above, note the overall tilt of strata to the left). Associated with that uplift was some localized and relatively small-scale reverse faults. In other words, we need some deformation to produce the outcrops (but I’d also point out that structural geologists love sedimentary rocks because it allows them to very precisely map structures). In the example above, you can quite easily put that sandy package (which is about 20 m thick, by the way) back together. The other thing I like about this photo is how you can see the ‘Z’ repeated in the gully in the background. Great shot…nice slump between sand rich units. I’ve seen similar events on a smaller scale to the south in what I refer to as “fine units”. Christy … thanks … yeah, there is a lot of slumped stuff in the fine-grained parts, probably more than I originally thought.